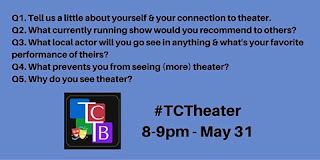 Did you know that Twin Cities Theater Bloggers do monthly Twitter chats? 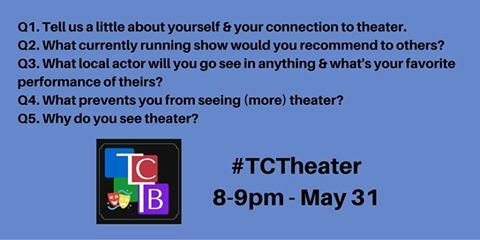 Our goal is to engage the local theater audience and connect them with other theater-goers and theater-makers, to help make our amazing local theater community even stronger and more connected. We do these chats monthly and all are welcome - please join us!